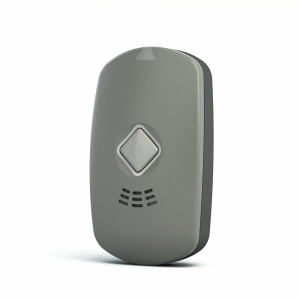 We offer a GPS and cellular pendant, which operates anywhere in Canada where there is cellular coverage. 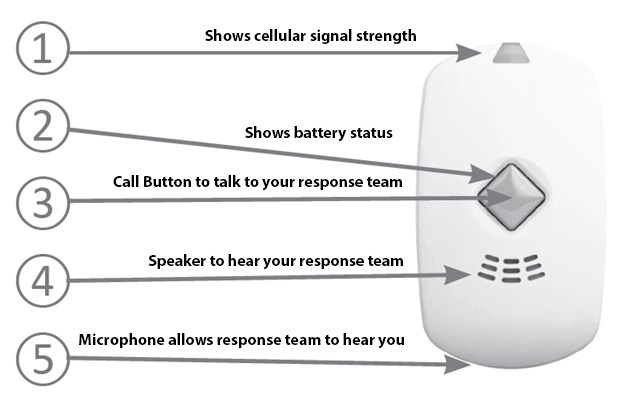 This is unique as most medical alert services only work in and around the home. Able to dispatch authorities within metres of their location. 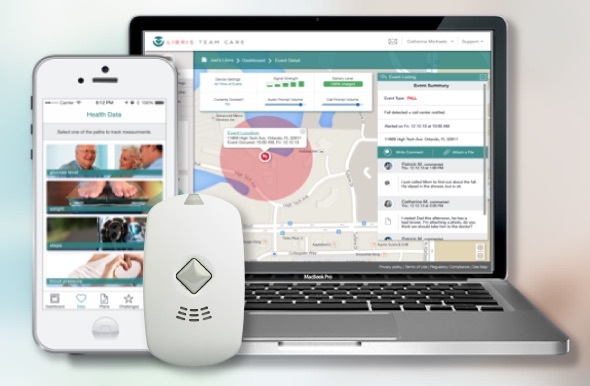 Numera Libris is the first all-in-one mobile health, wellness and personal safety solution. Numera Libris with Numera EverThere is a hardware and cloud-based platform that integrates health measurement information, personal safety and emergency response with proactive, socially-engaging health services. Numera provides seniors and their family members with tools to track and share important health and activity information, allowing people to take charge of their health, to manage chronic conditions, and to keep families and caregivers engaged. The most advanced fall detection– Detects falls with utmost accuracy. Automatically calls your response team if it senses you have fallen. Nearly 90% of Numera Libris users utilize fall detection. No installation– Libris set-up and device management is easy, device is pre-configured, and does not require any on-site installation. More than Mobile PERS – Libris is paired with the EverThere cloud platform, a web based portal for Numera Libris customers, with GPS location services, family and caregiver social features, online device settings, customized notifications, and health insight and activity tracking options.